Earlier this year, I attempted to overall the way I went about my day. I generally carry at least three bags to work. I had my work/computer bag, my gym bag, and my lunch bag. I also carried a purse, which I often left locked in my car as I didn’t have a great place to secure it in my classroom. So I was routinely hauling three bags from my car to my classroom and back each day. I could leave my gym bag in the car, but it’s cold in the car. Have you ever put on a cold sports bra? The first time you do, you’ll start bringing your gym bag into work with you to keep it warm through the day! In an effort to streamline my day, I decided to combine all my daily needs into one bag. My one bag needed to be able to hold my gyms clothes/shoes, have room for my lunch, have a zippered pocket for my wallet, and have a little extra space left over for the days that I need to bring papers or other work home with me. I thought my ideal bag would be a “weekender” style tote, something that was designed to be packed for a day or two at a time, but didn’t look like luggage or a duffel bag. I settled on this one, said goodbye to the computer bag I’d bought myself as a gift when I started my new job five years ago, and began packing my day in one bag. Generally speaking, I love my day in a bag. I pack once in the morning, everything I need is there. My wallet is close at hand during the day but also tucked away and semi-secure. I don’t look like a pack mule coming into the building anymore, and I don’t have to keep track of where everything is when packing in the morning, or worry about forget a bag at the door. What I don’t love, however, is the bag I chose to do it with. If I would have thought through more specifically what my “one bag” would require, I might have realized that I need more than just one big pocket in which to cram all my stuff. I might have realized I needed an outside pocket to store my keys. I might have realized having a divider in the bag to keep my gym shoes off my work papers would help keep things clean and organized. I might have realized buying a bag with zero structure makes it floppy and difficult to pack. In essence, there’s a reason gym bags are structured the way they are, and computer bags are structured the way they are, and purses are structured the way they are, and just throwing your stuff into one giant sack will, in fact, work for storing stuff, but won’t include all the structural and organizational features that make those other bags hyper functional. 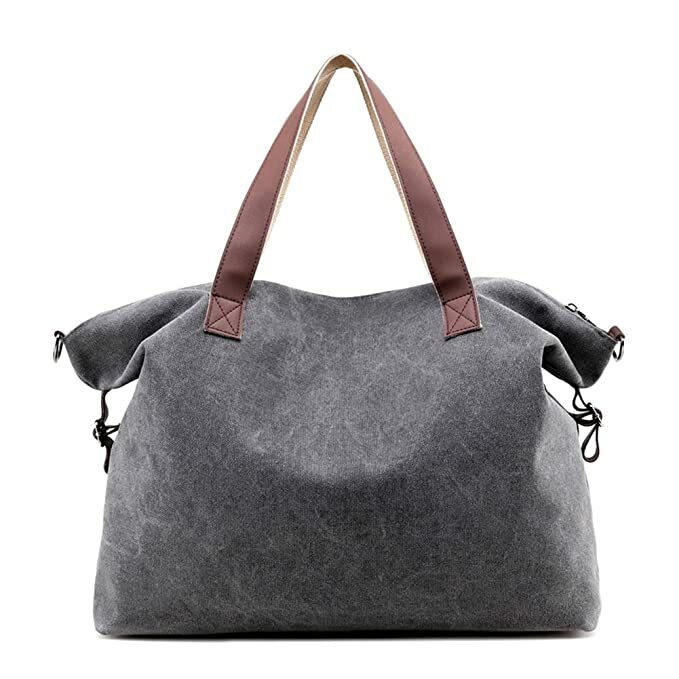 Fortunately, the moment you buy a bag, all your online advertisements will change to bags, and you’ll quickly find one that you wish you would have bought instead. Unfortunately, my new year’s resolution of cutting my personal spending has me weighing every discretionary purchase against a future purchase for our new house, which is a real buzz kill when it comes to wanting to splurge! However, that doesn’t mean I can’t continuously window shop, and share with you why I think the new luggage trend of the carry-on backpack is the perfect “one bag” to pack for your day. …but would not work to haul my whole day. I do love a good backpack though, so when the TLS Weekender backpack cropped up in my online ads, I was intrigued. Admittedly, any backpack has some of the same problems as my giant sack of a bag. Once you pack something at the bottom of a backpack, it’s a hassle to dig for, and an awkwardly shaped item, like a pair of gym shoes, is never going to conform to a backpack space well. However, the thing I LOVED about the TLS backpack was the way the middle pocket opened flat like luggage. I can get a pair of shoes in that bag! No problem! I could put shoes on the bottom, clothes on the top and zip any work papers into the mesh pouch, and everything could be separate! No digging to the bottom of the bag. Nothing getting messed up or crumpled. There’s also a laptop pocket in the back should you need to carry electronics, and a front pocket for keys, a phone, headphones, etc. Even Target had one for $49! If you want to downsize your load into one bag for the day, I’m convinced this is the way to go! And someday, when I decide that functionality today is more important than an area rug in my eventual home, I’ll jump right on board this hot backpack trend and get my life packed in one place!